Why Chose Educational Alternatives LLC? In 2005, Dana developed a private practice in Katonah, New York, working directly with children ages four to eighteen on developing their academic skill set and preparing them for their next educational crossroad. Dana’s in-depth background in the field of learning disabilities affords her the opportunity to provide a wide array of academic interventions. As a learning specialist, Dana regularly reads Psychoeducational and Neuropsychoeducational evaluations of students and then writes a summary of the student’s strengths and vulnerabilities, assessing if their educational profiles is an appropriate match to the curricular demands of the schools they are applying to. 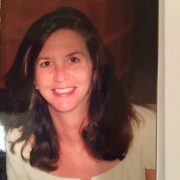 Dana is on the Board of Directors of Thistlewaithe Learning Center, a Montessori school for children ages three to six. She is a member of the Independent Education Consultant Association (IECA), the National Association of Therapeutic Schools and Programs (NATSAP), and the Council of Exceptional Children (CEC). Since 2014, Dana has visited over 100 schools offering special learning environments. and can help parents find appropriate programs and placements for their child, adolescent or young adult. Placements in LD day schools, boarding schools, postgraduate and gap year programs as well as colleges with LD support are identified and secured by working closely with families, counselors, and learning specialists assuring a successful admission to a supportive social-emotional and educational environment. With Dana’s vast personal and professional experiences, she brings a sense of passion and security assuring that her clients are well represented and placed within their educational environment. So Why Choose Educational Alternatives LLC? Professionalism, Compassion and Experience! “Dana found the perfect school for our son, Eric. As with all parents of a child with learning differences, we all have different stories to tell about the experiences we have gone through and many times they are quite painful to share. It was immediately clear that Dana understood what we had been through and knew what to do.